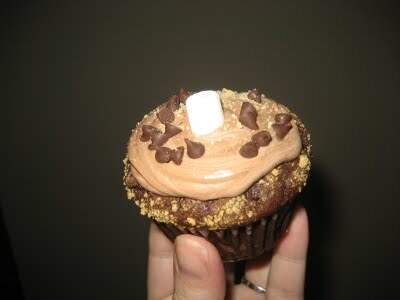 Thanks so much for featuring my S'mores Cupcakes!!! Oh I'm so happy! I love your recipes! I think I pinned most of them on my Recipes to make Pinterest board! So awesome! Oh my the cream puffs were my winner, I love puffs!! 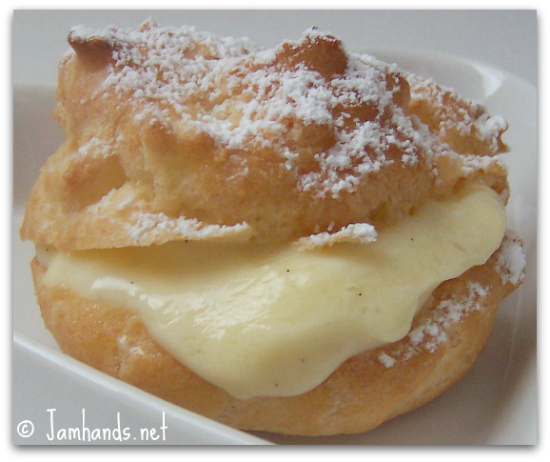 I just recently saw a recipe with miniature cream puffs, stuffed with vanilla cream, then stacked on a vanilla cupcake with vanilla buttercream and finally, drizzled with a homemade caramel. A little croquembouche on top of a cupcake! Can you just imagine such a dessert!! Thanks so much for the add, glad to be your newest follower as well! Absolutely love your blog, the design is beautiful and your recipes look fantastic! Can't wait for Mouth Watering Mondays! Thank you so much for featuring my frozen cookie cups! It was a fun surprise to see your email when I got home from vacation:-) You have such a fun food blog!!! !